The first half of the tour you'll see some of Montréal's main interests; the majestic mountain park and an abundant amount of street art produced by our local and creative talent. You'll head into the heart of the entertainment district and Montréal’s Gay Village, the gaybourhood. After a picnic lunch and cheeky craft beer in the park, follow your guide through the charming residential streets and back green alleys of the boroughs we call home. To understand Montréal is to understand our neighborhoods with a local. 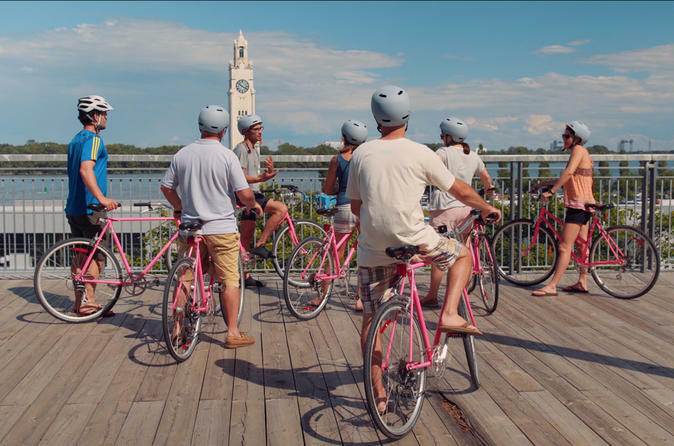 The bikes you'll ride are a Montréal-designed brand and the shop the come from is a social enterprise giving new life to old frames by rebuilding them right here in the Mile End of Montréal. At the end of the tour, you'll receive a list of personal recommendations for your use during the remainder of your stay.